A simple, satisfying soup for chilly weather! Add ground beef and onion to a stockpot and brown together, seasoning with salt and pepper to taste. (If in doubt, use less than you think you'll need. You can always add more later!) Add potatoes and saute with meat until slightly soft. Add water and green beans. Allow to simmer half an hour or more. Adjust seasonings. 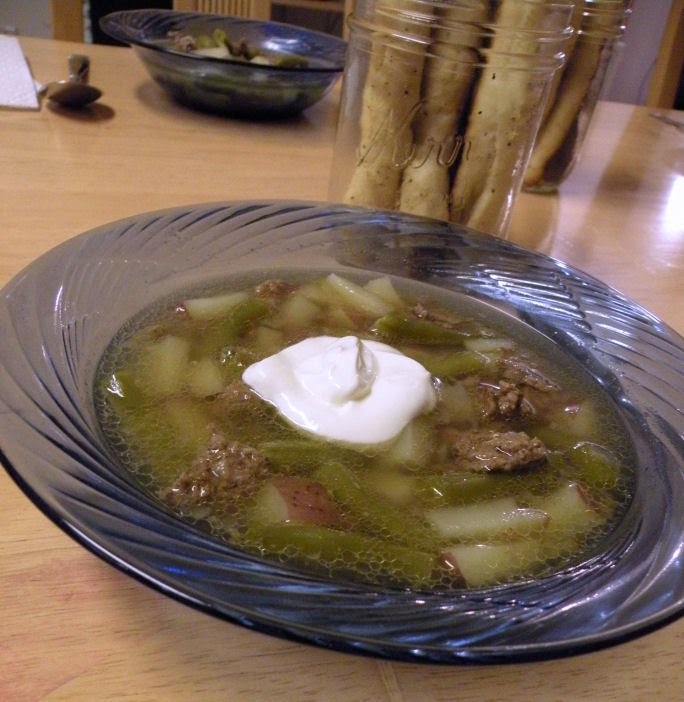 Garnish with sour cream. Serve with Easy Peasy Breadsticks for the perfect comfort food!